It really doesn’t matter what kind of man that special guy is in your life, he can be a rugged man’s man or a modern day urban man, you can entertain him at Danforth Village for Father’s Day! Is he a car guy? A tool guy? A guy who just wants to relax with a nice cold beer or perhaps to do with your dad, your husband, or your children for Father’s Day then head to Danforth Village and your problem is solved. There are several auto shops in Danforth Village if you want to take him to get a new set of tires or some detail work done on his car. You can head to Canadian Tire for some male bonding while you check out all the new gadgets on the market! There are even some bike shops in the area if he is an active guy and enjoys biking. Any other sports that he’s into can be sought out at the multiple retail stores right in this great area of the city! This is the perfect time of year to drop into a pub and order your favourite bottle of cold beer! There’s café’s at your fingertips should he prefer a coffee or tea. Does he have a sweet tooth? There are bakeries throughout the vast area in Danforth Village. You could always go ahead of time and pre-order a special Father’s Day cake or see what the local grocery stores have available. Does he have a favourite ethnic food? At Danforth Village that’s also covered with the long list of options for the most insatiable of tastes. You can take him to dine at a wide range of establishments from Greek, Thai, Chinese, Jamaican, British, Bangladesh, Japanese, Halal, or if he likes good old North American food there’s an abundance of options from hamburgers to pizza to sub sandwiches. In today’s day and age men are discovering the relaxing tradition of being pampered at the spa – it’s not just for women anymore! There are some spas to choose from if he would like a pedicure, waxing or maybe he’s due for a nice, fresh summer haircut and style. Now’s the perfect opportunity to get him all set for summer while celebrating Father’s Day together! Even if he doesn’t want to celebrate out and is more of an at home type of guy or maybe has plans for camping or cottaging for Father’s Day weekend, don’t let that stop you from hitting Danforth Village for some great gift ideas! With nearly a dozen travel agencies you could always book a special little getaway that would be sure to put a huge smile on his face. There are so many gift ideas for Father’s Day for your father, your husband or whoever that special guy is in your life. You can explore Danforth Village for an array of things on your shopping list. A few ideas – cologne, clothes, shoes, tools, books, jewelry, camping gear, sports gear, bbq supplies, etc. 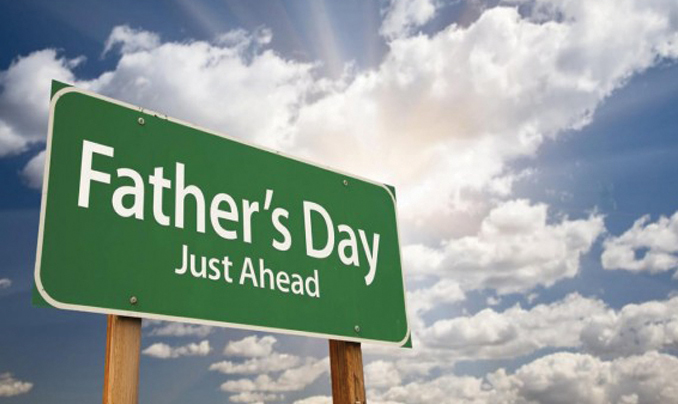 Danforth Village has an incredible amount of stores to accommodate all of your Father’s Day needs. Don’t forget to head over to a grocery store or drug store to select the perfect Father’s Day card so that you can express to him exactly how much he means to you. Father’s Day only comes along once a year and what a perfect time of year to celebrate the man in your life. What better place to do this then in the vibrant area of Toronto referred to as Danforth Village! You can create special memories together over Father’s Day weekend exploring all that there is to do and see in this amazing section of the city If you’re looking for something special to do on Father’s Day and to create some special moments plan a day or even the weekend at Danforth Village – you will not be disappointed!